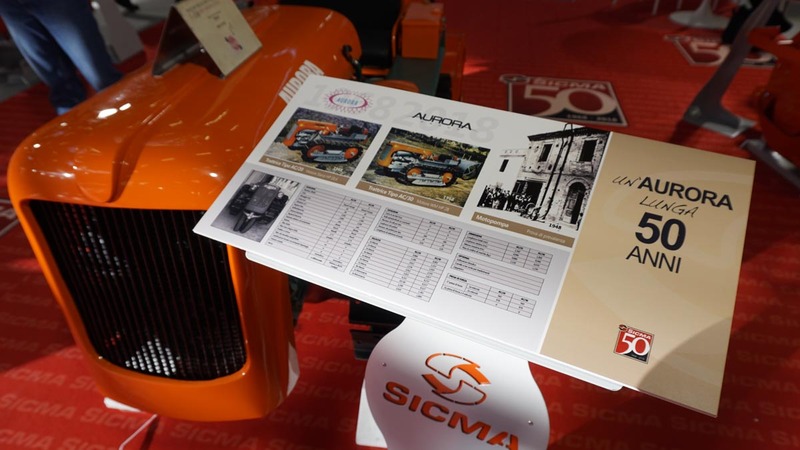 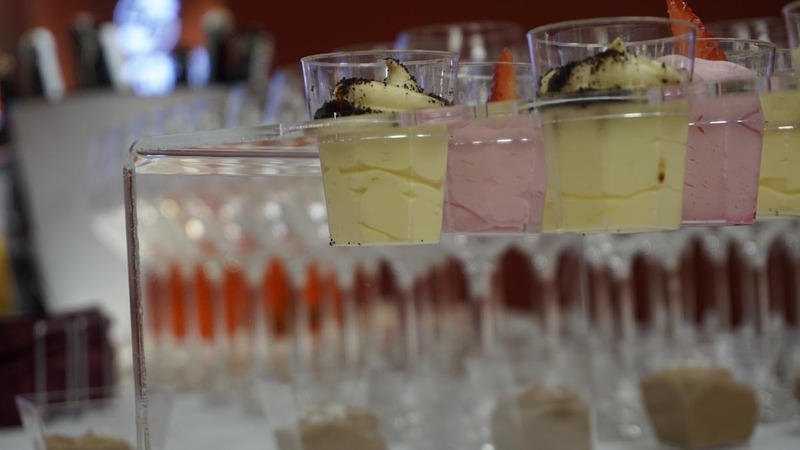 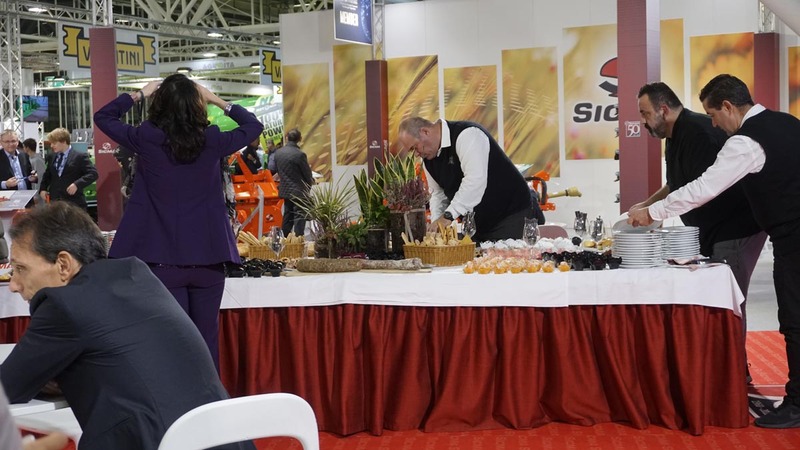 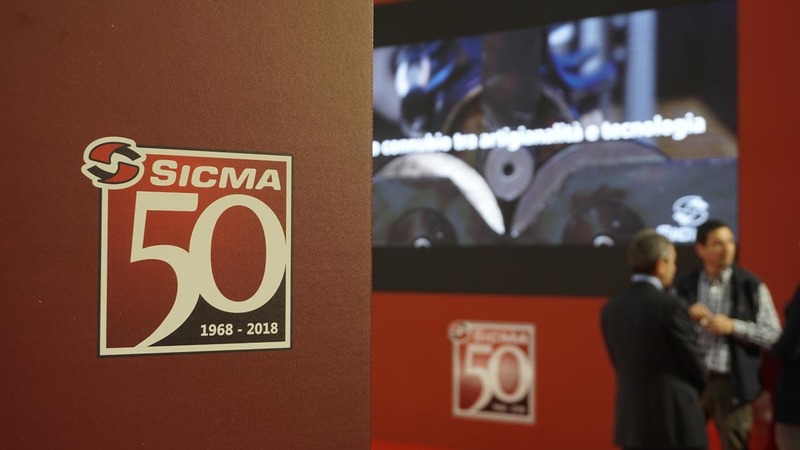 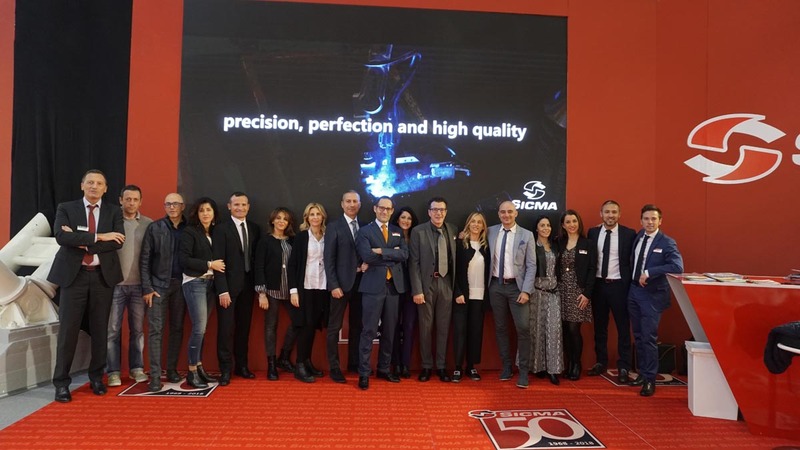 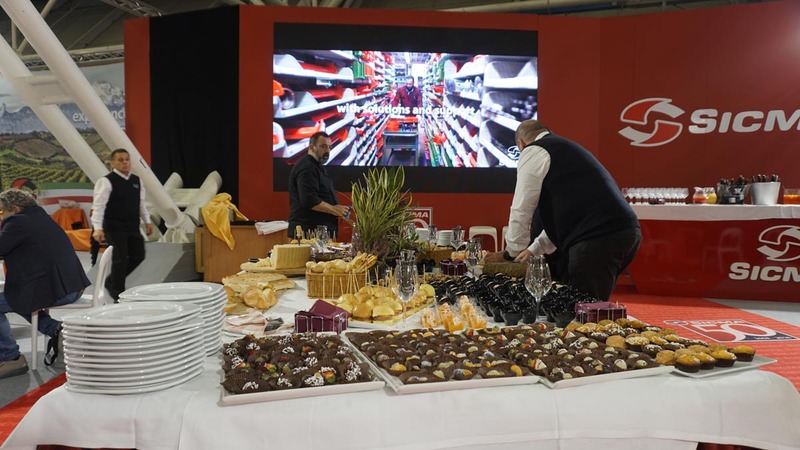 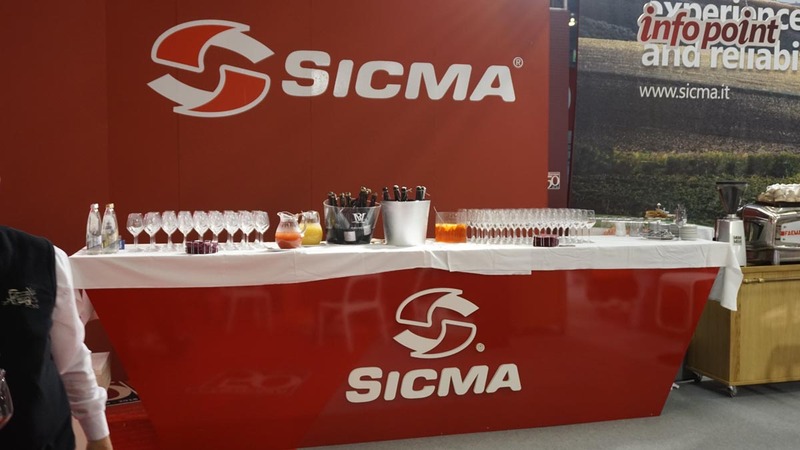 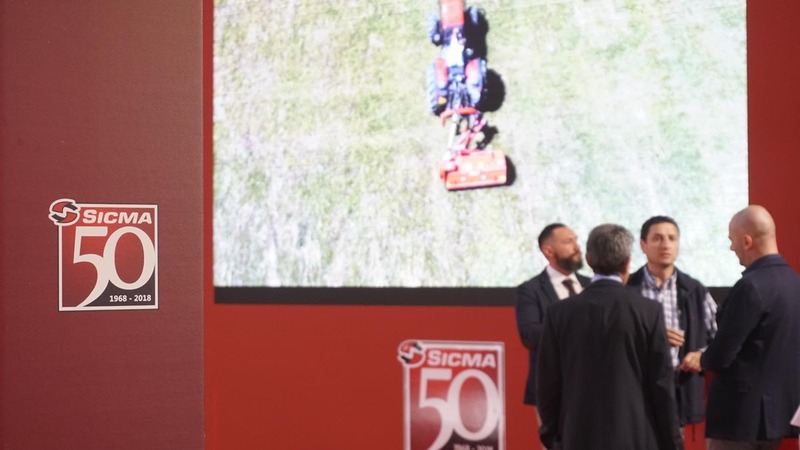 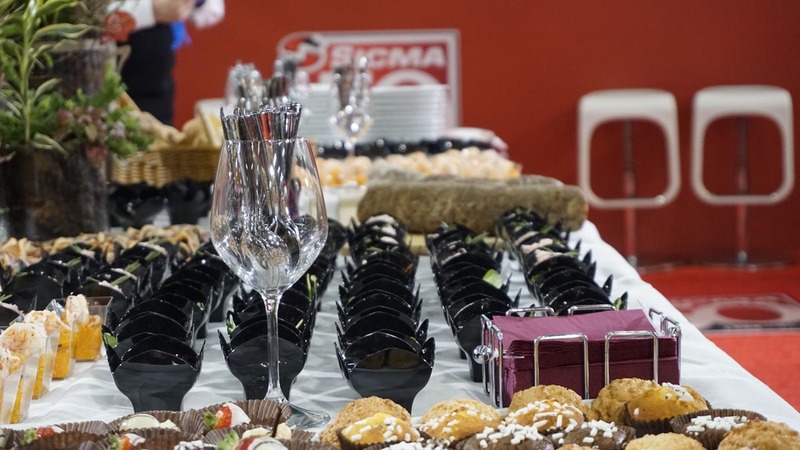 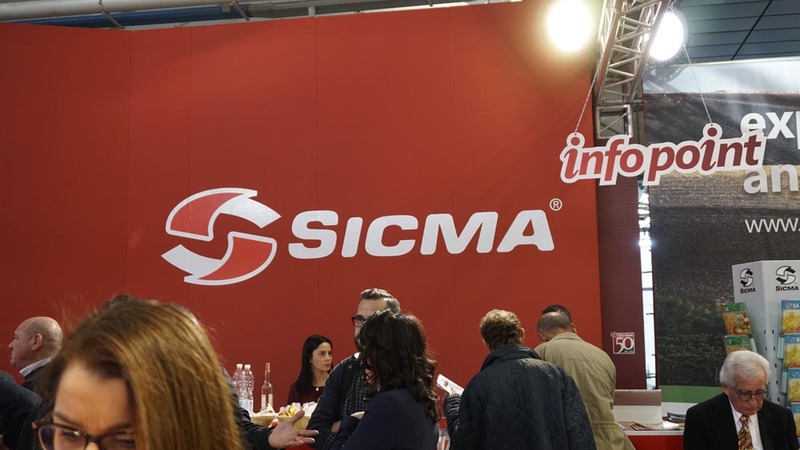 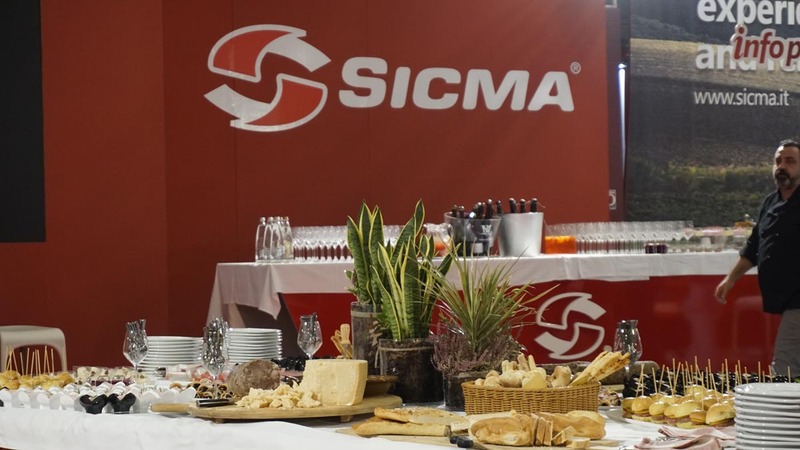 "It’s time for new products in Sicma that this year also celebrates its 50th anniversary and widens its range of products with some important innovations. 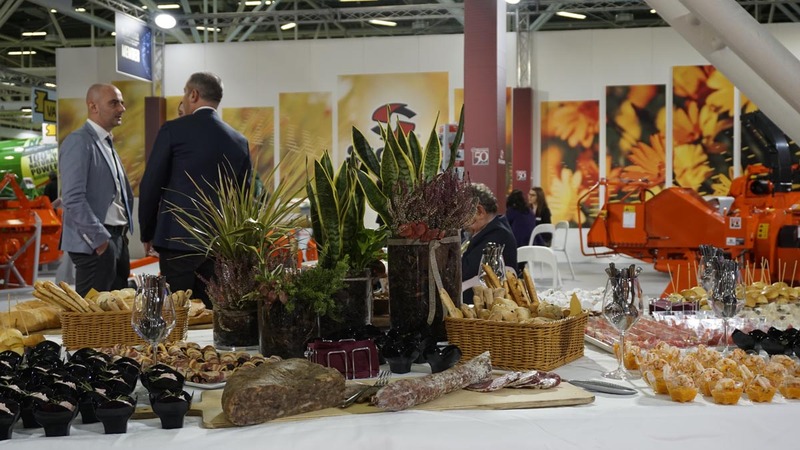 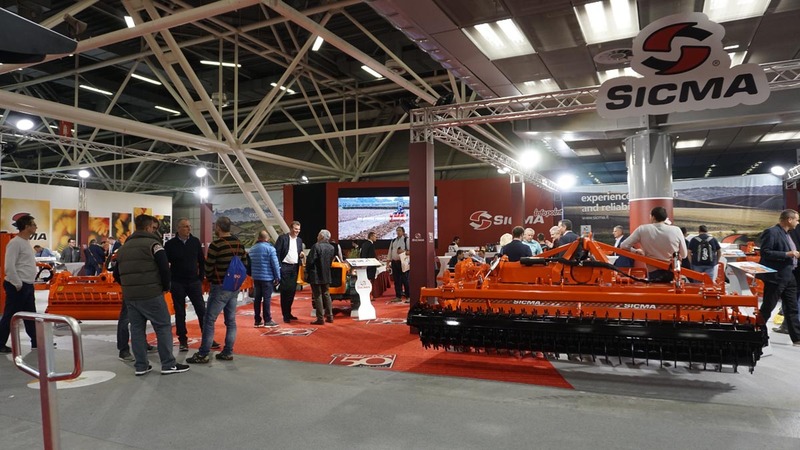 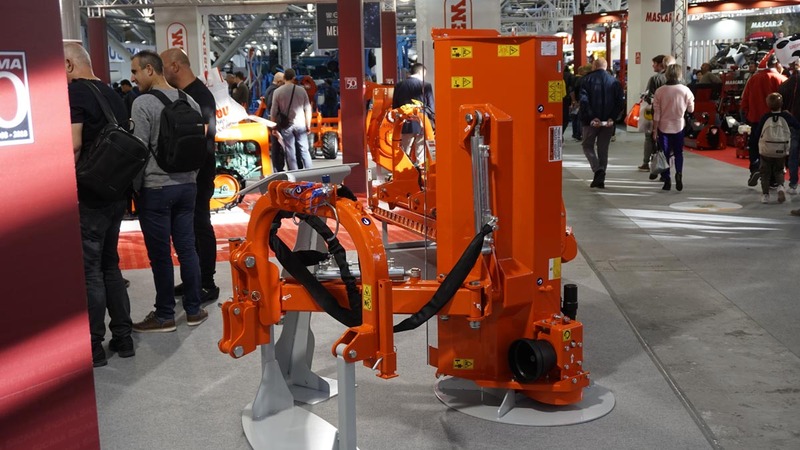 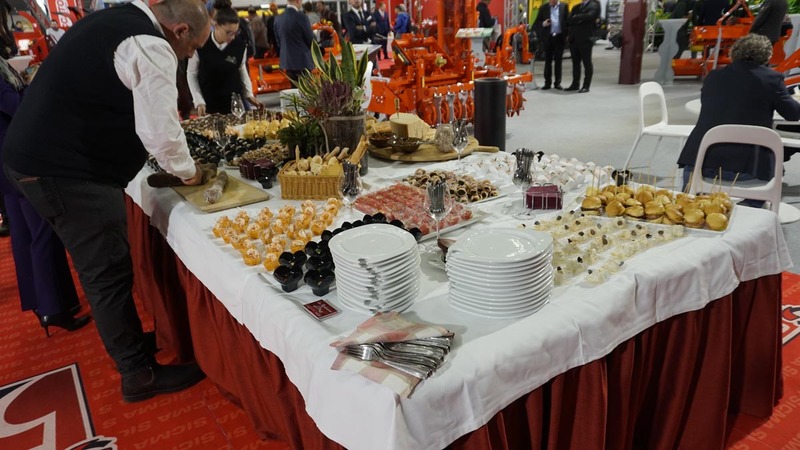 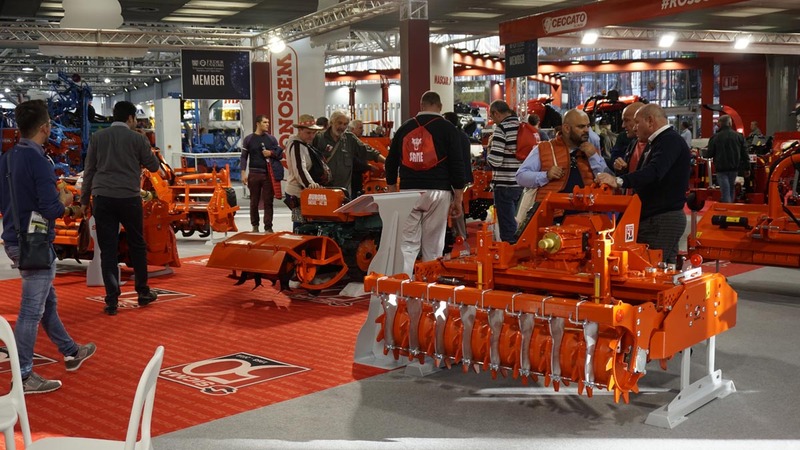 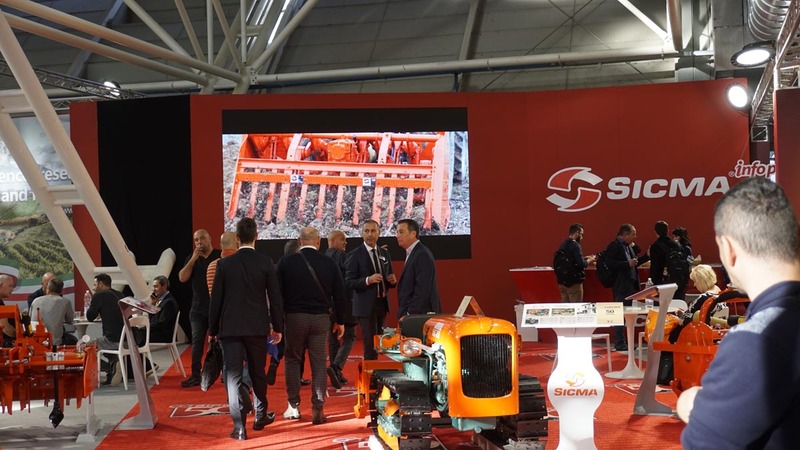 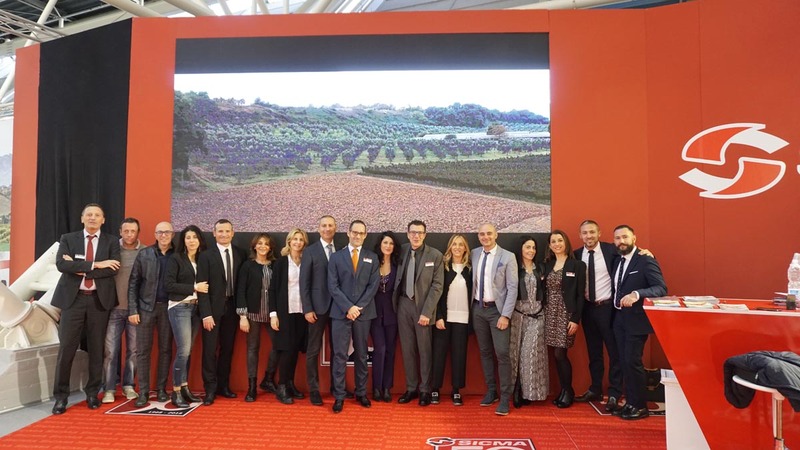 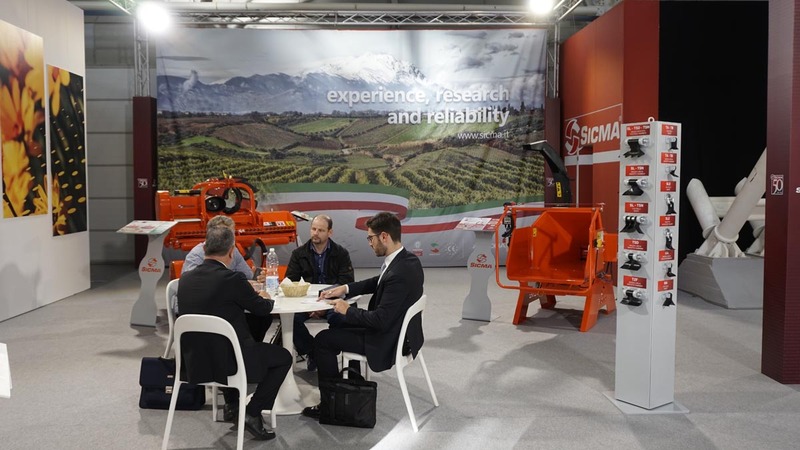 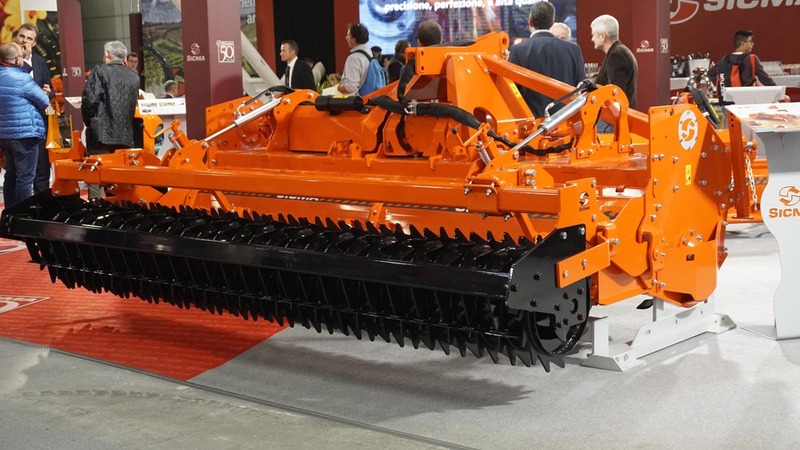 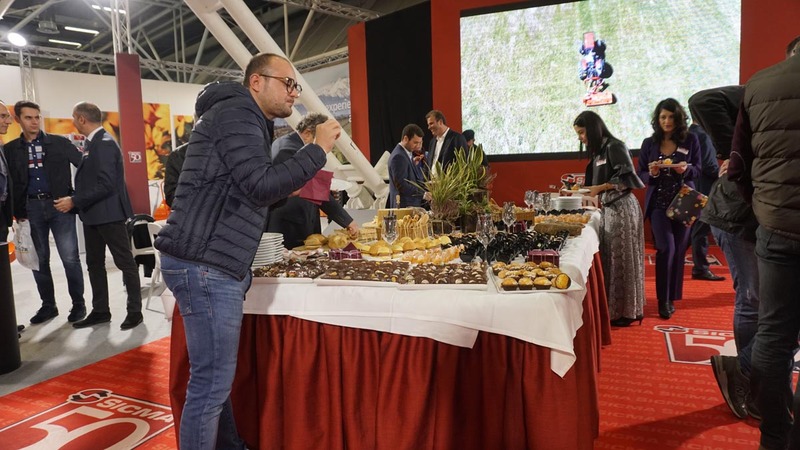 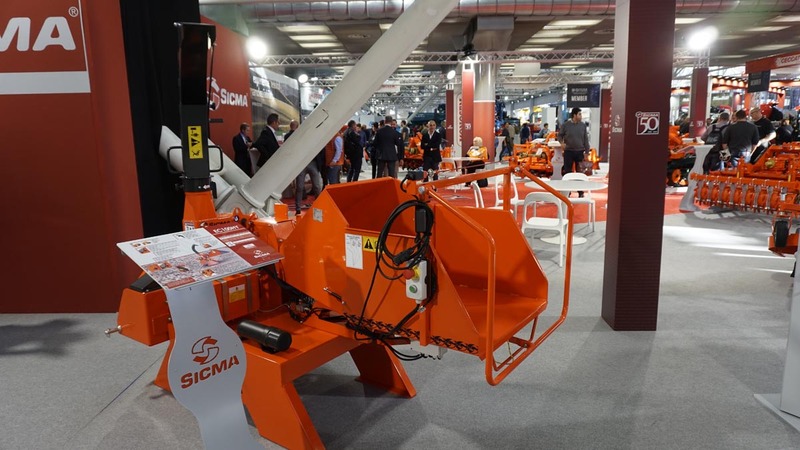 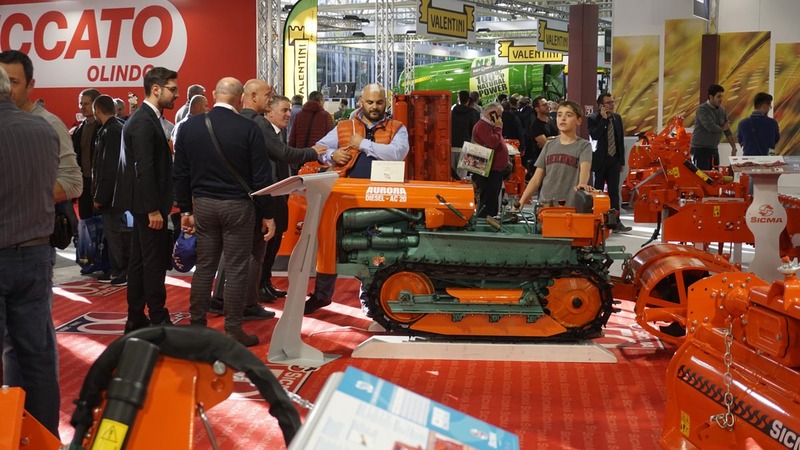 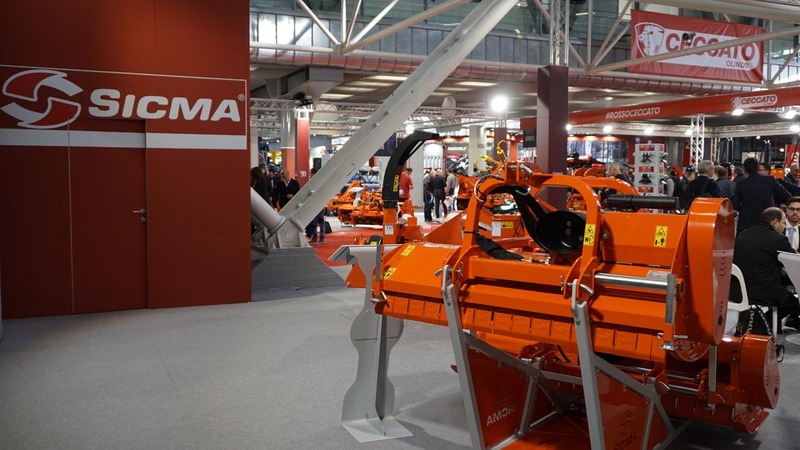 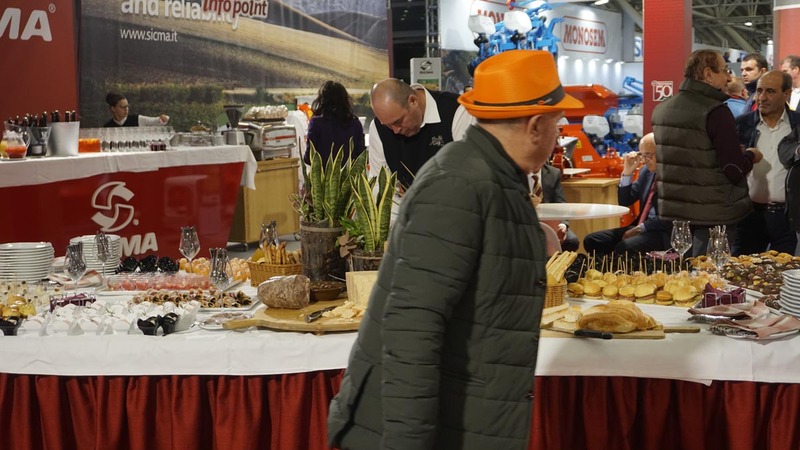 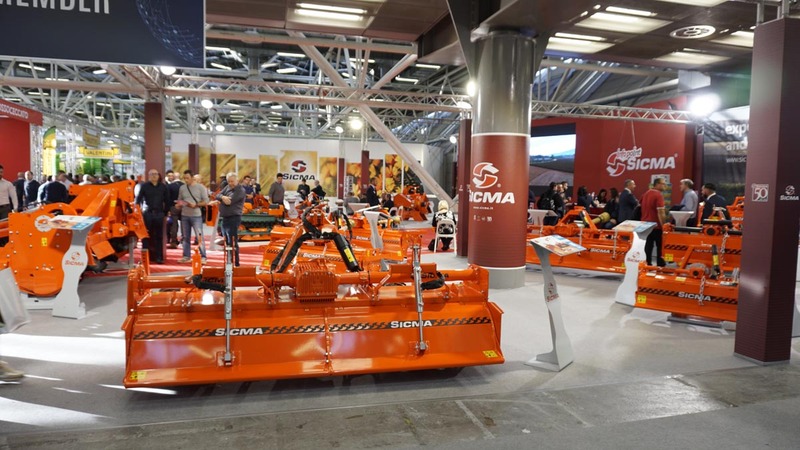 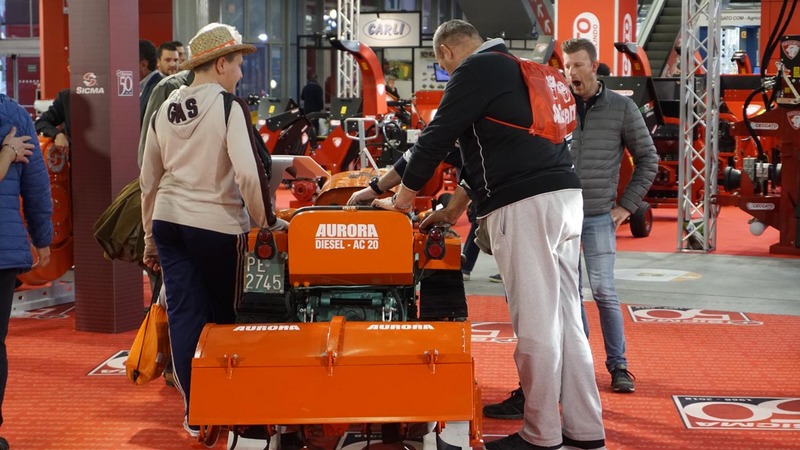 At Eima International the Abruzzi’s company (placed in Miglianico, in the province of Chieti) will line up all the finest pieces of its collection, starting from SICMA EV power harrow. 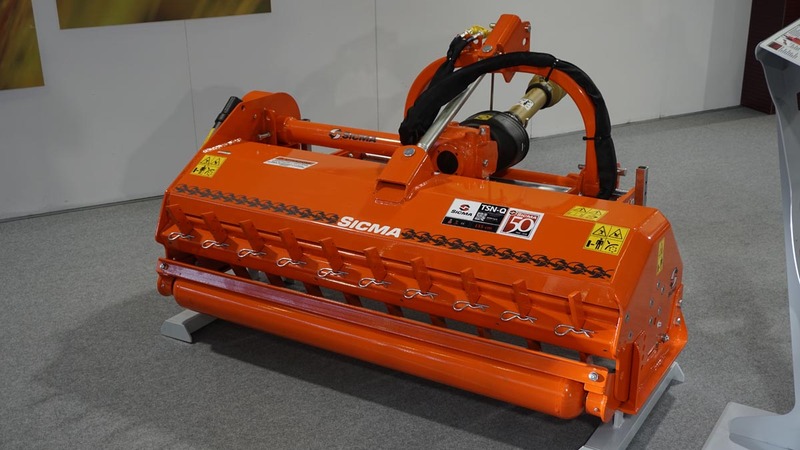 It is a compact machine, perfect for open-field cultivations, standard equipped with levelling bar with rapid adjustment, 3rd point hitch pre-set for sewing machine and one-speed gearbox. 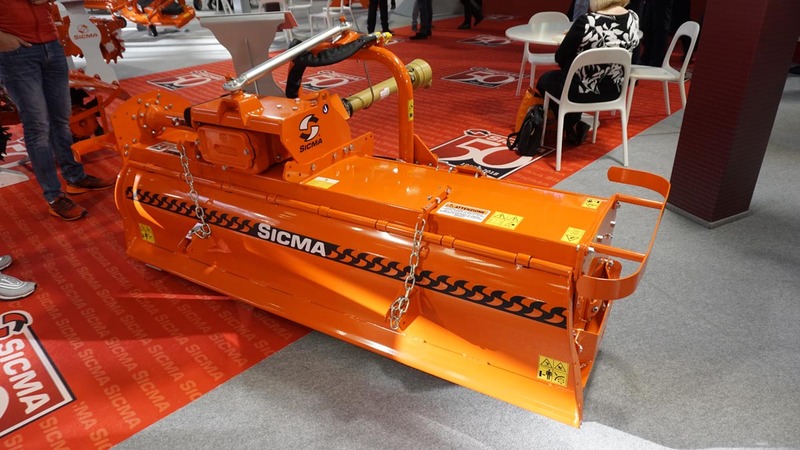 Among the available options, five different types of rollers, two-blades rotor with refining fins, pairs of straight wheel mark eradicator, 2-speeds gearbox (540+1000 rpm) and hydraulic adjustment of the roller. 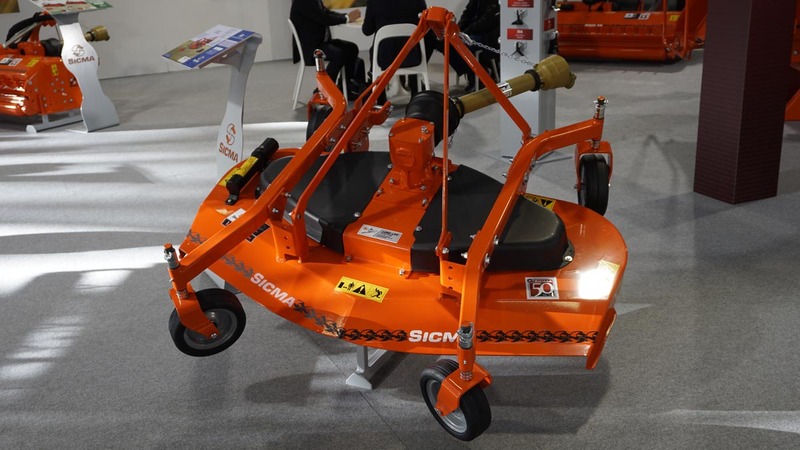 It is suitable for tractors from 40 to 150 HP. 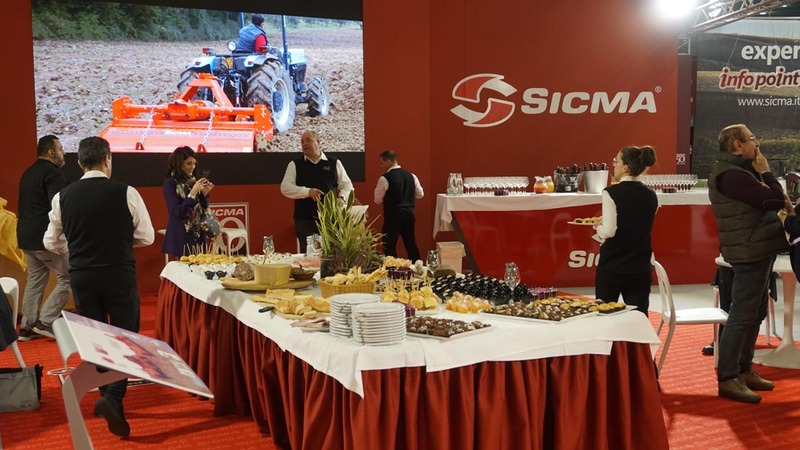 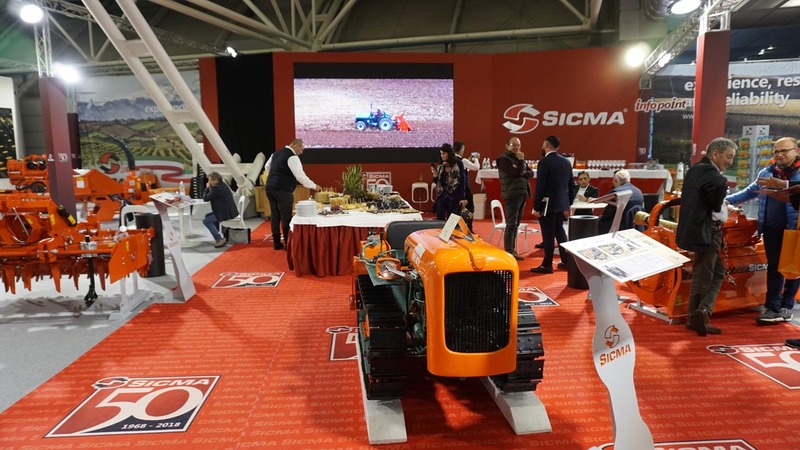 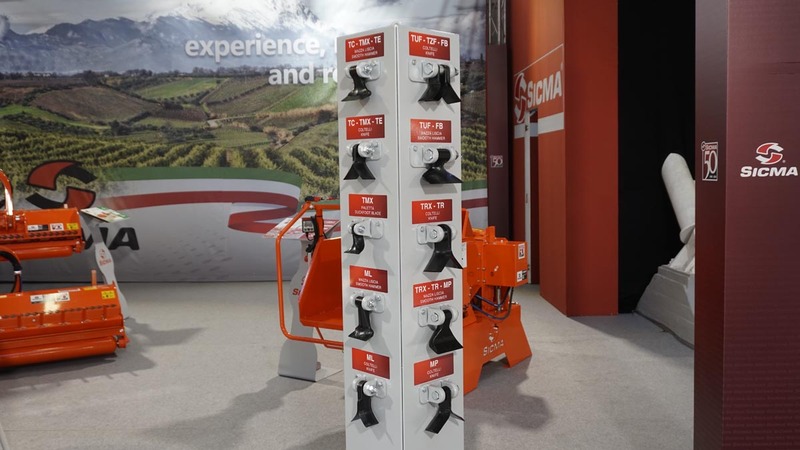 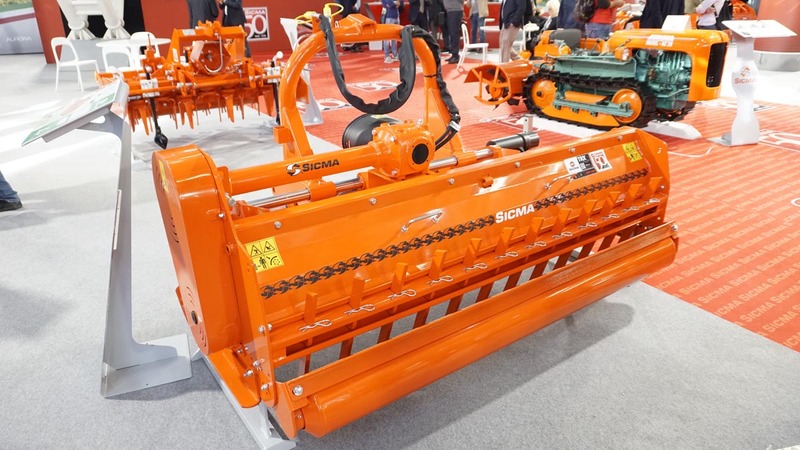 Sicma RG BIO is a fixed tiller, for tractors from 90 to 160 HP. 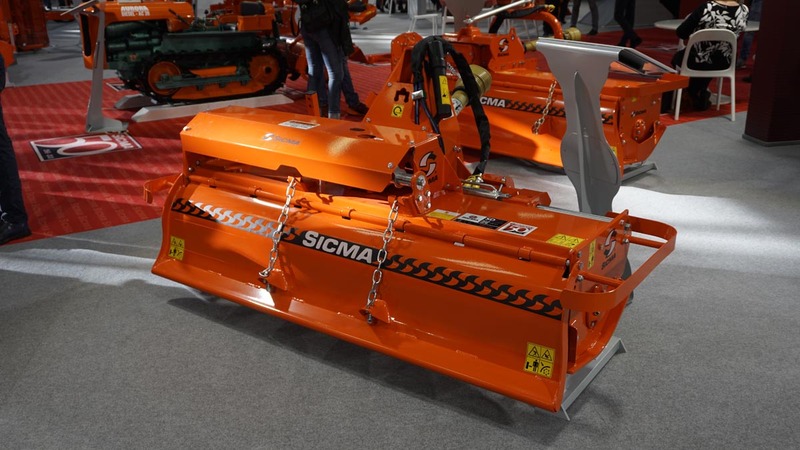 It is equipped with 2+2 speeds gearbox, twin front wheels and hydraulic cylinder for wider fan opening. 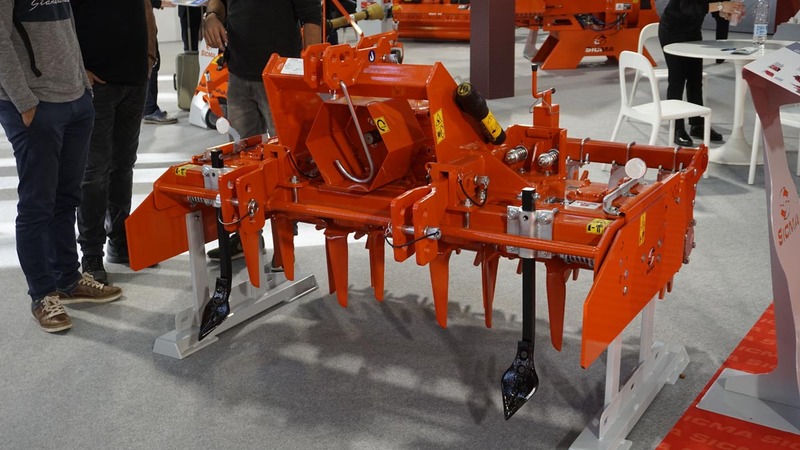 “To design this tiller – explains the manufacturer – we started from a “traditional” model and developed mechanical solutions aimed to finely till the soil”. 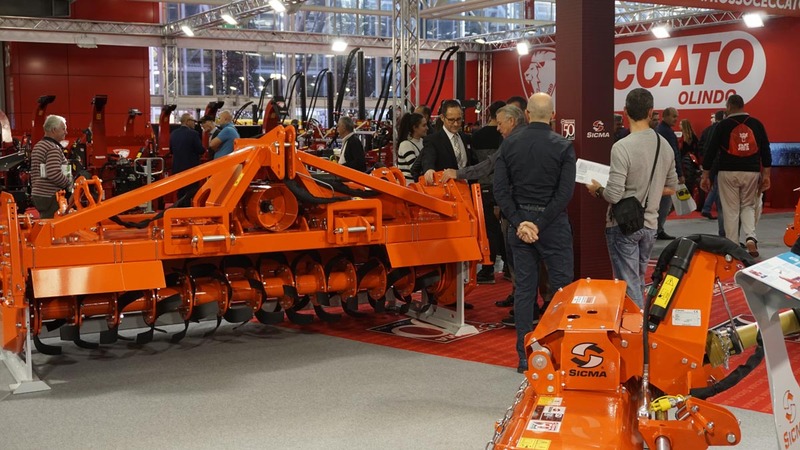 And this is possible thanks to the twin front wheels that allow to precisely and equally adjust the working depth between 3 and 9 cm, and, therefore, obtain the compost by mixing together the organic mass with the soil. 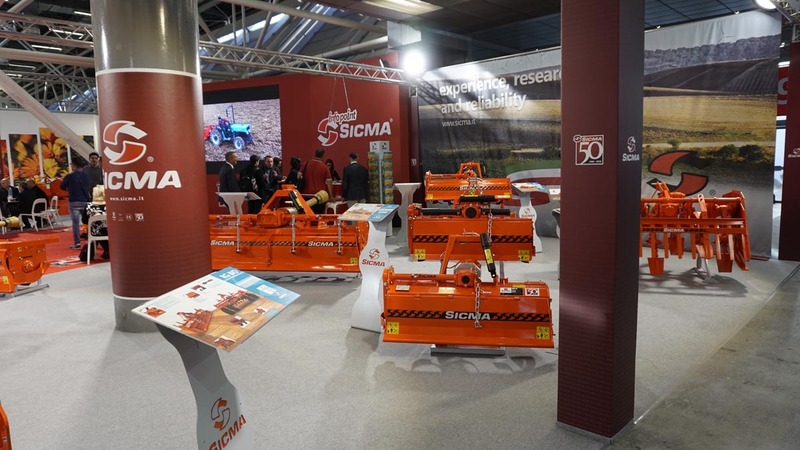 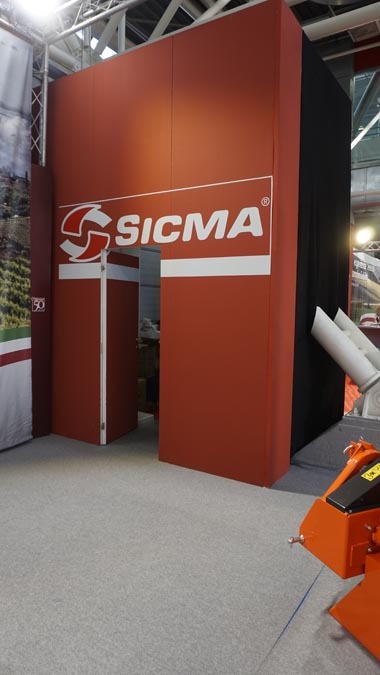 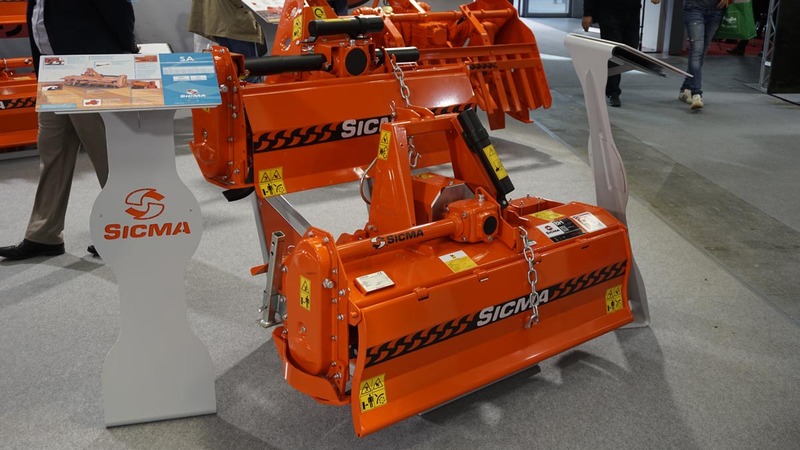 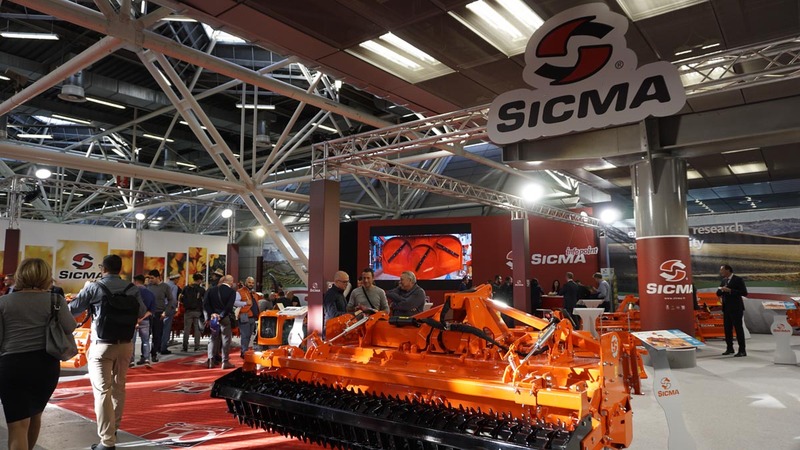 Sicma RX is a tiller for high power tractors and increase the available HP range of rotary tillers’ series . 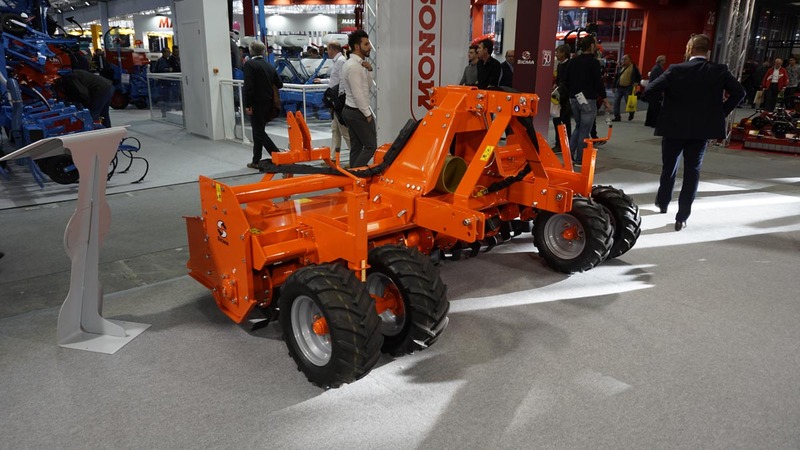 It is offered into two models: version A, suitable for tractors from 120 to 200 HP and available in 300-350 cm working widths; version B, suitable for tractors from 150 to 270 HP and available 360-410-460-510 cm working widths. 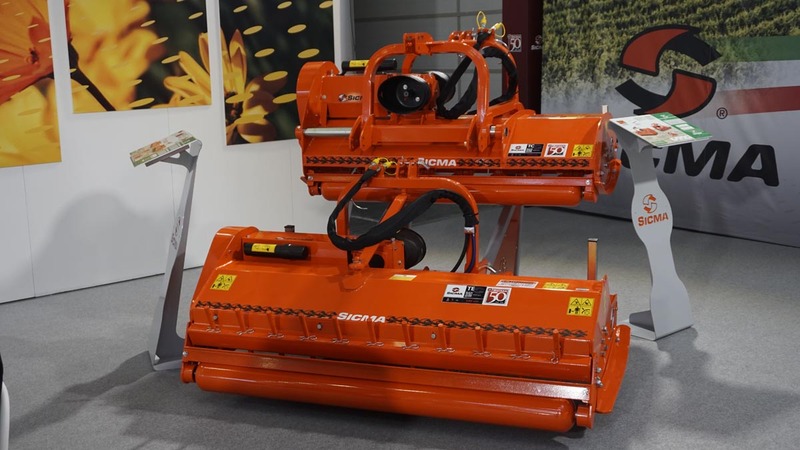 Both versions can be equipped with smooth, packer, cage or spiral roller."